Imagine this. You are seriously crunching numbers at your desk when you get a sudden whiff of fresh, home-cooked food. Doesn’t your tummy start growling and mouth start watering? Well, that’s the magic of spices! Caraway is one such tempering spice. Caraway seeds are not only aromatic and appetizing but also extremely healthy and soothing for your body. This is the reason we temper or season our foods with such spices. 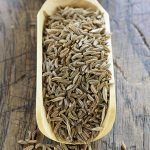 Read on to discover more about caraway seeds and why should you always stock them in your spice rack. Caraway Seeds: How Do They Look, Taste, And Matter? How Are Caraway Seeds Good For Your Health? What Is The Best Way To Have Caraway Seeds? How Much Should You Have? What Are The Side Effects Of Caraway Seeds? Caraway (Carum carvi) belongs to the Apiaceae family – just like fennel and cumin. Caraway seeds are one of the integral components spicing up German, Turkish, and other sub-Mediterranean cuisines. They are known not only for their flavorful aftertaste and tingling aroma but also for their extensive therapeutic benefits. Caraway seeds and essential oils have been used in ancient folk and traditional medicine for a variety of applications. They aid digestion, relieve flatulence, kill pathogens, improve memory, prevent cancer and inflammation, regulate hypertension and diabetes, control breast milk production, and the list goes on (1)! Wondering how? All because of their phytochemical profile. Caraway seeds are packed with hydrocarbons, mono- and tri-terpenes, flavonoids, lignins, polysaccharides, and various biochemicals (2). Do you want to know how they affect your body in detail? Put on your glasses and start reading this extensive article on caraway. Caraway seeds are known for relieving dyspepsia in traditional medicine and cuisines. These seeds have proven carminative effects. They clear flatulence, gas, and bloating in your tummy (2), (3). Caraway extract is said to have antispasmodic activity. Spasms in your stomach are caused by chemical messengers like acetylcholine and histamine. These seeds can block these reactions and relax the smooth muscles of your gut (2). Caraway oil possesses antimicrobial properties, particularly against Helicobacter pylori. These bacteria are linked to gastritis, gastric cancer, and several GI tract disorders (2). Caraway seeds were also found to have significant antioxidant properties, thanks to the flavonoid content. As they eliminate free radicals, these seeds might also reduce peptic and gastric ulcers (antiulcerogenic activity) (2). Caraway polyphenols like carvacrol and unsaturated fatty acids might support weight loss. They conserve the gut microflora and enable efficient nutrient absorption. The unsaturated fatty acids also enhance the rate of lipolysis and fat loss. Carvacrol boosts the growth of beneficial gut microflora by fighting pathogens. The microflora, in turn, might downregulate the genes that control lipid metabolism and weight gain (4). Better balance in gut microflora indirectly prevents fat accumulation and adipogenesis. Also, the antioxidant activity might trigger the death (apoptosis) of immature adipocytes (4). Caraway oil showed a hypoglycemic effect and decreased body weight in mouse models. Caraway extracts also had lipid-lowering activity in diabetic individuals. This indicates that it can protect your body from hypercholesterolemia-induced diseases (2). These seeds might inhibit glucose production in the liver. They might also improve glucose utilization by the surrounding adipose or muscle tissue. Caraway extracts can, hence, prevent increases in serum glucose levels and improve insulin sensitivity (5). The active constituents of caraway seeds, i.e., carvone, limonene, carveol, thymol, dihydrocarveol, and other flavonoids, are thought to support these antidiabetic properties (5). Another unique benefit of caraway seeds is that they are anti-colitic (6). These seeds control the production of pro-inflammatory compounds like cytokines, interleukins, prostaglandins, leukotrienes, etc. in the body. This way, your colon is protected from inflammation. The ingredients that block such pro-inflammatory chemicals are terpenoids, flavonoids, fatty acids, lignins, triacylglycerols, and polysaccharides. Carvone is another major anti-inflammatory agent that blocks 5-lipoxygenase and cyclooxygenase activity (6). Components in caraway oil also showed a reduction in lesions in the colon, according to a rat study (7). Hence, caraway may be considered a potential anticancer agent. Studies demonstrate the anticonvulsant properties of the aqueous extract and essential oil from caraway seeds. Their anti-stress and cognition-enhancing (nootropic) effects have also been well studied (8). Carvone, the principal biochemical constituent, is responsible for the antiepileptic effect of caraway extract. According to a recent study conducted on mice, caraway oil was found to be more potent than other extracts in controlling seizures (8). Several other biochemicals, especially terpenoids, are behind these neuroprotective effects. Caraway seeds can modulate neurotransmitter systems, block calcium influx, regulate sodium channels, and act as anti-inflammatory and antioxidant agents. Thus, they might be significant in preventing accelerated mental aging (8). Caraway essential oil was found to have antimicrobial properties. Over 10 pathogenic bacteria, 6 fungal, and few protozoal strains could be inhibited with caraway oil, including Salmonella typhi, Vibrio cholera, and Mycobacterium tuberculosis. This versatile spice can increase the bioavailability of several antibacterial drugs. From working on an upset tummy to sharpening your brain, caraway seeds are more than just a bottle on your spice rack. These seeds are packed with potent antioxidant, anti-inflammatory, antispasmodic, and nootropic biochemical constituents. Caraway seeds also contain a bunch of essential micronutrients. All these, together, give them a terrific nutrition profile. Take a look. Caraway seeds contain fair amounts of dietary fiber and carbohydrates. They also contain calcium, potassium, and phosphorus, vitamins C and A, and unsaturated fatty acids (2). Biochemically, these seeds are treasure chests. They have hydrocarbons, oxygenated monoterpenes, oxygenated sesquiterpenes, aldehydes, ketones, polysaccharides, triacylglycerols, and esters (2). Phytochemically, caraway seeds contain carvacrol, carvone, α-pinene, limonene, γ-terpinene, linalool, carvenone, and p-cymene. Diverse flavonoids, isoflavonoids, flavonoid glycosides, monoterpenoid glucosides, lignins, alkaloids, and other phenolic compounds have been identified in the aqueous and alcoholic extracts of caraway (2). Wouldn’t you want to assimilate all this goodness of caraway seeds? If you do, scroll on to the next section to know how to do so. Well, there is no set ‘best’ way of taking caraway seeds, but there are certainly best doses. You can have 1-2 teaspoons of crushed seeds with a cup of water, about 2-4 times a day, between meals (9). You could try chewing a teaspoon of these seeds about 3-4 times a day. The taste will grow on you. If it doesn’t, try having 0.5 g-2 g of powdered seed instead (9). Another way of taking these seeds is their concentrate or tincture. About ½-1 teaspoon of tincture thrice a day should suffice. You might also like a ready-to-use caraway liquid extract. You can buy it here. Take 3-4 ml of it, 3-4 times a day (9). If you wish to use the essential oil from these seeds, add about 3-6 drops of it to water or a carrier oil depending on the purpose. What happens in case of an overdose? Find out in the next section! There are no experimentally proven harsh, adverse effects of having caraway seeds. However, the maximum doses of caraway extracts and oil are 3200 mg/kg and 400 mg/kg, respectively (8), (9). Some studies say that caraway overdose can trigger renal (kidney) inflammation. This can be accompanied by liver breakdown too if left unnoticed or untreated (9). Hence, we recommend you to visit your physician. You can frame a suitable dosage for using caraway seeds/liquid/tincture under medical guidance. Caraway seeds have been used in ancient medicine across cultures. They are known for their digestive, antispasmodic, anti-inflammatory, nootropic, neuroprotective, antioxidant, and antimicrobial properties. Their rich phytochemical and nutritional profile has made them a must-add in several cuisines. Fortunately, caraway seeds and oil have not shown severe repercussions, according to research. Try these seeds out (if you haven’t) and see the results for yourself! Write to us your feedback, relevant queries, and comments in the section below. Cook your way with caraway! What is a good substitute for caraway seeds? Fennel seeds, dill seeds, aniseed, nigella seeds, and star anise are a few substitutes for caraway seeds. 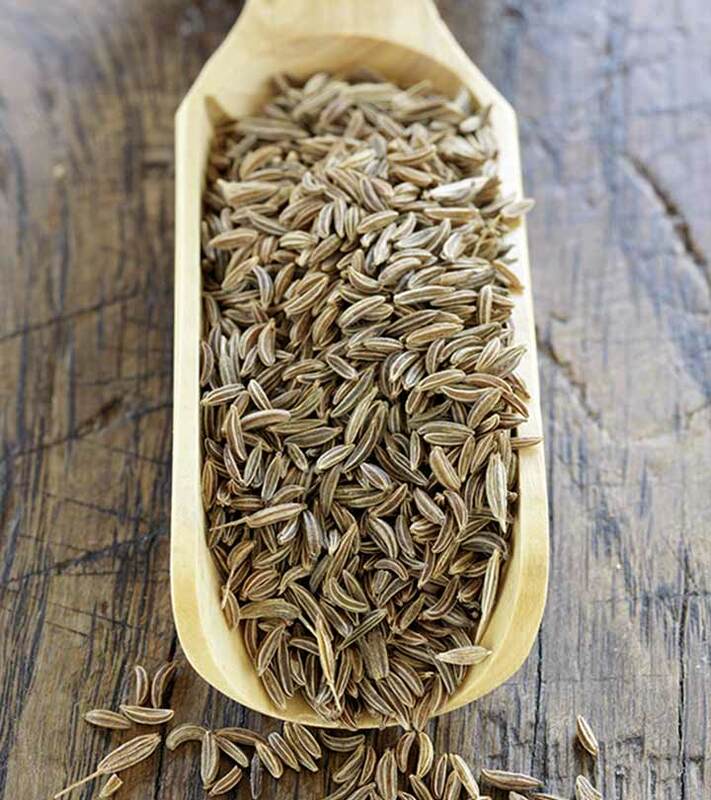 Are cumin and caraway seeds the same? Though they belong to the same species, Apiaceae, cumin and caraway are different spices. Cumin is spicier and has a warm aroma because of its essential oil content. Cuminaldehyde is the principle phytochemical in cumin seeds. Caraway seeds are long, crescent-shaped, and ridged. These are mostly used as a whole and not ground. Caraway seeds have more anise-like flavor. Carvacrol and carvone significantly contribute to the therapeutic benefits of caraway seeds. “Caraway” Drugs and Lactation Database, Bookshelf, National Centre for Biotechnology Information. “Cuminum cyminum and Carum carvi: An update” Pharmacognosy Review, US National Library of Medicine. “Prevention and Treatment of Flatulence From a…” Iranian Red Crescent Medical Journal, US National Library of Medicine. “Antiobesity Effect of Caraway Extract on Overweight…” Evidence-based Complementary and Alternative Medicine, US National Library of Medicine. “Hypoglycemic Effect of Ethanolic Extract of Carum …” Journal of Medicinal Plants. “Effects of Carum carvi L.(Caraway) extract…” Research in Pharmaceutical Sciences, US National Library of Medicine. “Inhibitory effects of dietary caraway essential oils…” Nutrition and Cancer, US National Library of Medicine. “Anticonvulsant Effect of the Aqueous Extract and…” Iranian Journal of Medical Sciences, US National Library of Medicine. 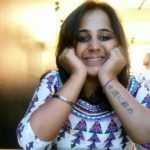 “The Chemical Constituents and Pharmacological Effects…” Indian Journal of Pharmaceutical Science and Research, US National Library of Medicine.